It’s well known that Buffett looks for very large investments in companies with great long-term outlooks, and needless to say, that’s paid off well during his long career. His company Berkshire Hathaway is one of the largest in the world by market value. Buffett has said that he likes energy because it provides opportunities for reinvestment and more acquisitions. Buffett’s renewable energy investments, through Berkshire Hathaway Energy, include wind farms in Iowa, Wyoming and California, and solar farms in California and Arizona. 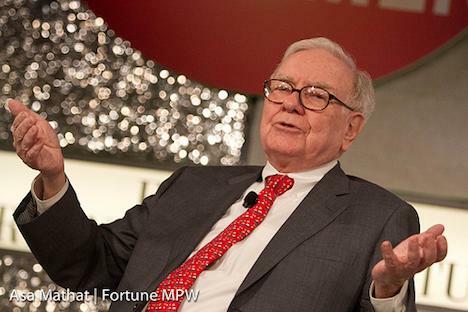 Buffett has estimated that the energy unit could reinvest as much as $30 billion into its business in the next decade. The outlook for renewable energy in the United States is certainly good. Like many other countries, the US is looking to reduce its carbon emissions in coming years, and consequently its use of fossil fuels to generate electricity, especially coal. The current administration has set in motion the goal of cutting power plant emissions by 30% by 2030, from 2005 levels. Some initial progress had already been made before the announcement: US emissions dropped 10% between 2005 and 2012.